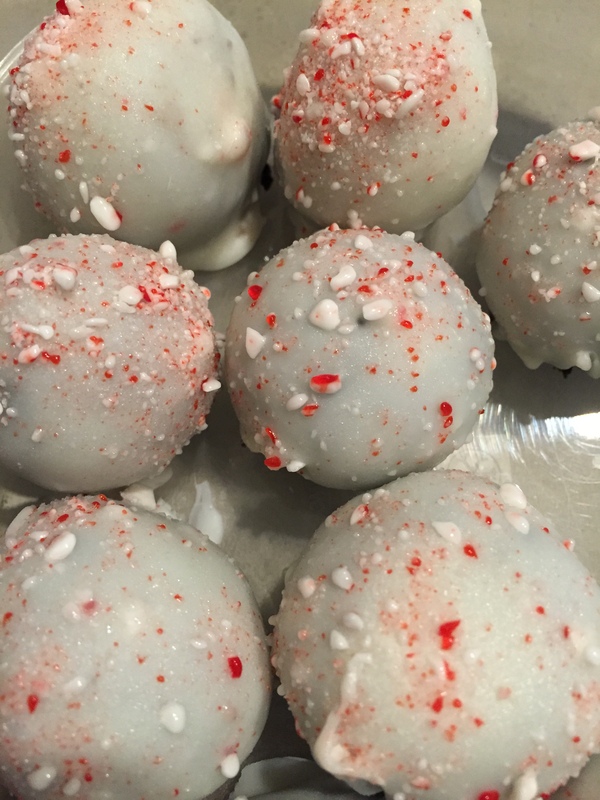 While they’re not cookies, these are another staple to our Christmas making/ baking extravaganza taste and give away. And, they’re super easy to make as well. I first made these in 2011 and brought them to my work’s Christmas potluck and people ate them up. It was at that time, I received my first order. Leah, who had helped me make them, was blown away when my friend came to pick them up and promptly paid Leah! Crush the Oreos so that they are a fine crumb. Transfer the crumbs to a bowl, add the package of cream cheese, and peppermint extract. Blend together so they form one big ball, scraping down the sides, as needed. Line a cookie sheet with parchment paper. Using a small cookie scoop, form balls and place on sheet. Freeze for 30 minutes. Melt the candy coating. Using two forks, dip each ball into the melted candy coating, shaking off the excess. Immediately top with crushed peppermints. Repeat until complete. Store in an air-tight container in the refrigerator. Chris isn’t a fan of peppermint/ mint flavored anything so I’ve learned it’s a bit of a courteous to add crushed peppermints to things that have peppermint in them so that people don’t unexpectedly consume something they don’t want.